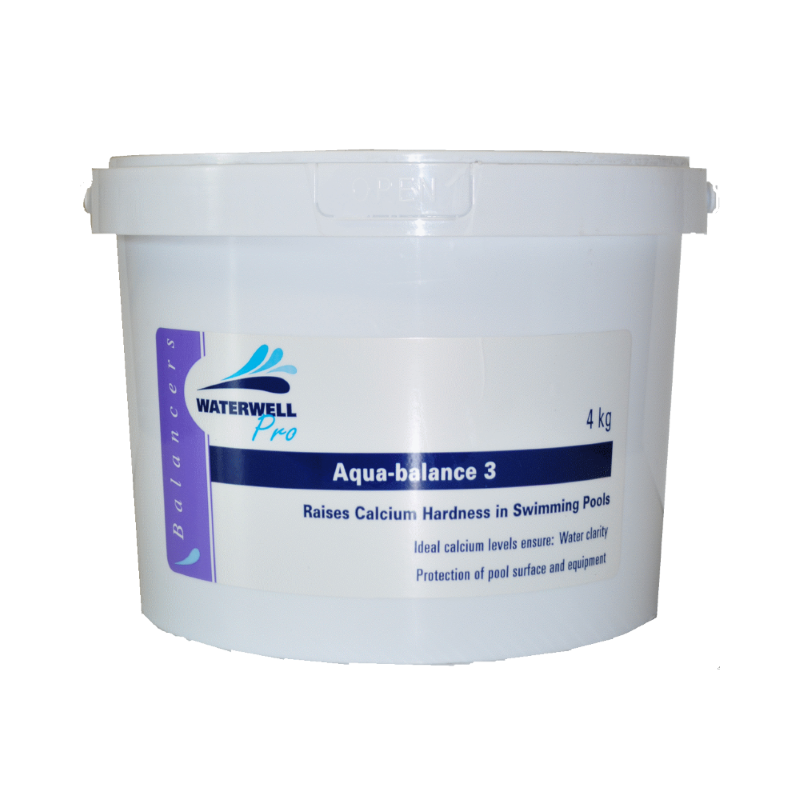 140g of Aqua-Balance 3 per 10 000L of pool water will raise the Calcium Hardness levels by 10ppm. The required amount must be split into three equal dosages and each dosage should be applied six hours or more after the previous application. Broadcast the product evenly over the surface of the pool water avoiding the area directly in front of the weir/skimmer. Ensure that the pump is in operation and that the pool is free of swimmers. Note: Do not pre-dissolve this product before applying.